Essex is full of dead Londoners. Ongar used to the be the most easterly station on the Central Line until it closed in 1994 but long before the underground existed the temptations of London lured its more ambitious inhabitants away from the sleepy market town to seek their fortune in the capital. 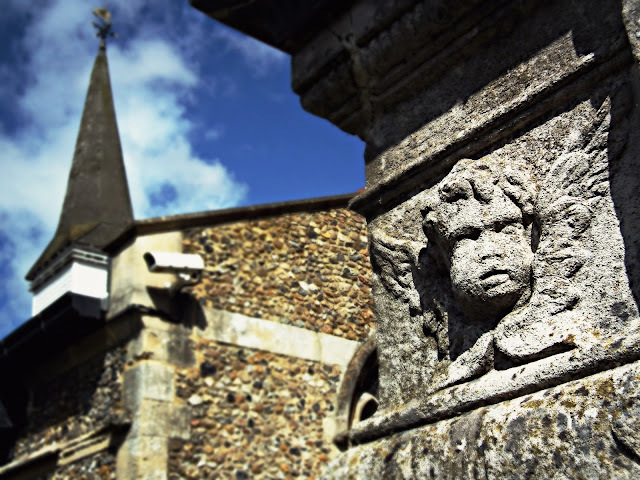 The churchyard of St Martin’s contains an impressive 18th century table tomb with cherub heads at the corners which covers the burial vault of the Boodle family. The vault was built for two brothers; John and Edward Boodle who we believe were originally from Shropshire. John Boodle, a surgeon and apothecary who practiced in Ongar, and his unmarried younger brother Edward, who established the world famous Boodle’s Club in St James, are both here, along with John’s son Edward who was a partner in the law firm that eventually became Boodle Hatfield and which can still be found today in the Blackfriars Road in Southwark. The vault also contains other Boodle relatives and a sprinkling of Mitfords; the two families were close and intermarried over three generations. The Boodles seem to have been a convivial family but the Mitfords were a quarrelsome and litigious lot who fell out dramatically with each other. The Boodles were almost certainly from Shropshire originally. Parish records show that an Edward Boodle was the third son of John Boodle of the Three Tuns, Oswestry, Shropshire, and was baptized at St Oswald’s Oswestry on 14 October 1722. Boodle is as common a surname in Shropshire as it is an unusual one in Essex but by the mid 1700’s there was an established colony of Boodles at Ongar including Edwards older brother John. After an early career shrouded in obscurity we know Edward Boodle went into partnership with William Almack in London in the early 1760’s. The two had leased adjacent properties at 49 and 50 Pall Mall and were running them as gaming clubs. Almack’s eventually became Brooks when it moved to St James in 1777. While Edward Boodle was alive his club remained at Pall Mall, only moving to St James Street under new management after his death. 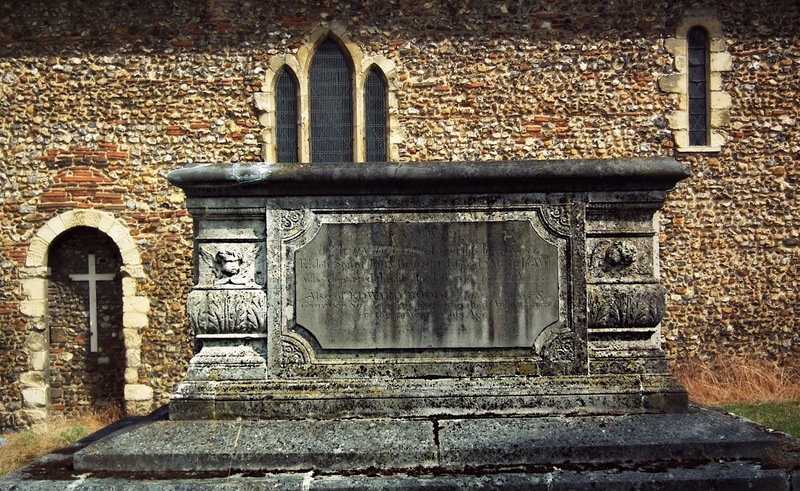 On 8 February 1772 Edward Boodle died at his house at 49 Pall Mall and was interred in the family vault in Ongar. His will mentions no wife or children and so suggests he never married. He left his estate to his sisters Margaret and Jane with his brother John as sole executor. 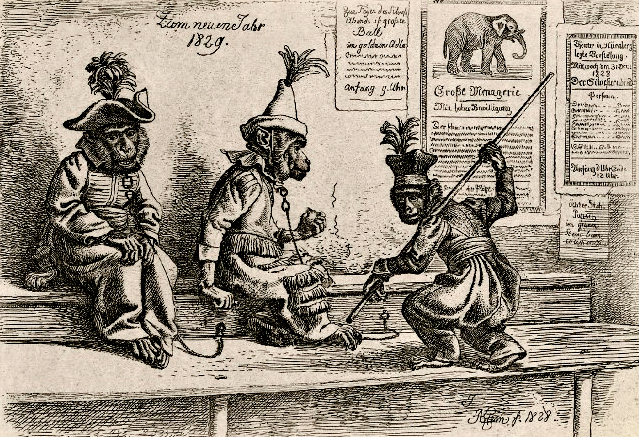 On 13 February a general meeting of the members was held at Boodle’s to decide who should take over the club. It was unanimously resolved that 'Ben Harding shall succeed the late Mr. Boodle in the House and Business, and shall be supported therein.' 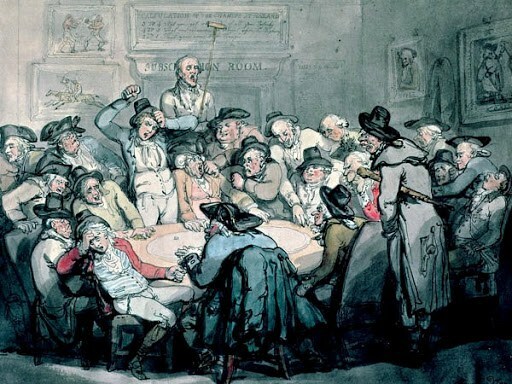 It was Ben Harding, vintner of St Anne’s, Westminster, who in June 1782 tabled a resolution to members 'That Harding do take Mr. Kenney's House in Saint James's Street for their Use'. The club moved to the new premises the same year and has remained there ever since. John Mitford had two children with Mary, two sons, the elder, John born in 1781 and the younger, Robert, born in 1784. John studied at Tonbridge Grammar School in Kent and Oriel College Oxford before becoming ordained as an Anglican clergyman and becoming vicar of Benhall in Suffolk. In addition to being an East Anglian cleric he pursued a parallel literary career for which he based himself at permanent rented lodgings in Sloane Street in Chelsea. He published the first complete works of Thomas Gray and was for many years a regular contributor to the Gentleman’s Magazine and eventually became the editor. John also married a Boodle, Augusta, eldest daughter of Edward Boodle the lawyer; “The marriage was not attended with happiness,” the original edition of the DNB tersely says. John died in 1859 after he collapsed on a London Street with an attack of paralysis. He was taken back to Suffolk to die and was buried in his parish at Stratford St Andrew. Robert Mitford the younger also went to Tonbridge Grammar School with his brother but at the age of 16 was sent to Bengal to take up a career in the Colonial civil service. He started a Writer, a clerk, in Kolkata and Bihar. In 1804 he married Elizabeth Ann Pattle but his marriage proved to be no happier than his brothers. In 1816 became Collector of Taxes at Dhaka and after four years applied, and was appointed to the Dhaka Provincial Court of Appeal and Circuit as its Second Judge in 1822. He remained in post until 1828, when he retired after thirty years service in India and returned to England. In London his marriage collapsed when he took up with a French woman called Mary Appoline. The relationship caused a rift with his brother which never healed. He died in Paris, on holiday with Mary, in 1836. The state of relations between Robert and his family can be seen from the new will he had made on 21st July 1835, the opening salvo of which was: “The will late made by me was destroyed in consequence of circumstances in my family which have totally changed the nature of the relations as they had previously subsisted and by a necessary result any disposition towards the parties in the respect of their succession to the property real and personal of which I may be found to be possessed at the period of my decease.” The will makes it clear that John Mitford is to inherit nothing from his estate and that his wife is only to receive an annuity. It refers to a £10,000 loan made to John for the education of his only son, a loan which according to Robert had not been used for the purpose it had been granted or repaid. Robert refers to John’s ‘evil habits and propensities’ and claims he has illegitimate offspring. The will also makes unusually detailed provision for the interment of Robert’s mortal remains: “In the event my demise at an early period I direct and enjoin the said executors and administrators hereunto to purchase and prepare for the ultimate deposit of my body and also for the removal and deposit of the remains of my parents and sister now lying interred in a vault in the church yard of Chipping Ongar in Essex ‘The Mount’, that is contiguous surrounded by a moat, that I understand to be the property at present of a Mr Evans on the summit they will be pleased to cause the erection and construction of a suitable and handsome as well as durable monument planting the and sides and summit of the mount with cedar and cypress trees in a manner that may render it ornamental to the town the expenses whereof for the purchase the of the monument &c &c are to be met and provided for out of the surplus property.” There is no evidence to show that Robert’s father (who died at Richmond) or his sister are buried in the Boodle vault but as their actual place of interment is not known then it is a possibility that they too are in that rather crowded space. The rest of the estate was left to the Government of Bengal to use for charitable purposes to benefit the native population of the colony. His servants had been given an extra six months wages but the family got nothing. Of course it all ended in litigation. Mitford’s widow contested the will. The first difficulties for Robert’s executors had come trying to carry the provisions of the will relating to his burial. The plans to convert the picturesque remains of a Norman motte and bailey castle lying behind Ongar church, a huge earthworks surrounded by a water filled moat known as the Mount came to nothing. 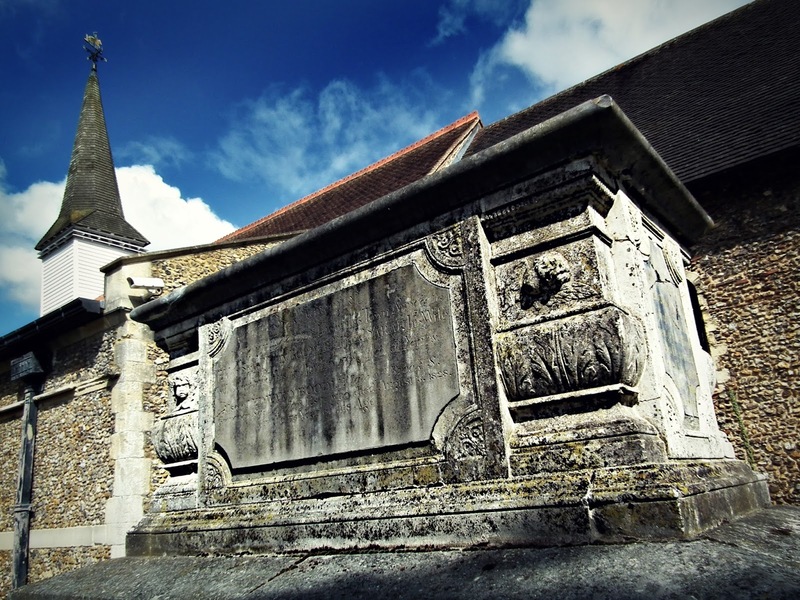 Mr Evans, the owner, proved unwilling to sell the Mount in order to have it converted to the setting for a Mausoleum for Robert and the members of his family he had still been on good terms with (i.e. the dead ones). Robert’s body presumably went into the Boodle vault to jostle with everyone else. His widow Elizabeth started a case in the Court of Chancery which hinged upon technical arguments about whether there were ‘proper parties’ to receive the charitable bequest (and which also argued that the clause about the mausoleum on the Mount were illegal because it was not consecrated ground) but which was obviously intended to scupper Robert’s intentions and ensure she and her son received the bulk of the estate as next of kin. She was to be sorely disappointed the case dragged on until 1842 but the court eventually decided in favour of Robert and his executors – the will was valid and the bulk of his estate was to be used to benefit the natives of Bengal. There were further legal challenges from another relative which thwarted the execution of the will for another six years until that case was finally dismissed in 1848. 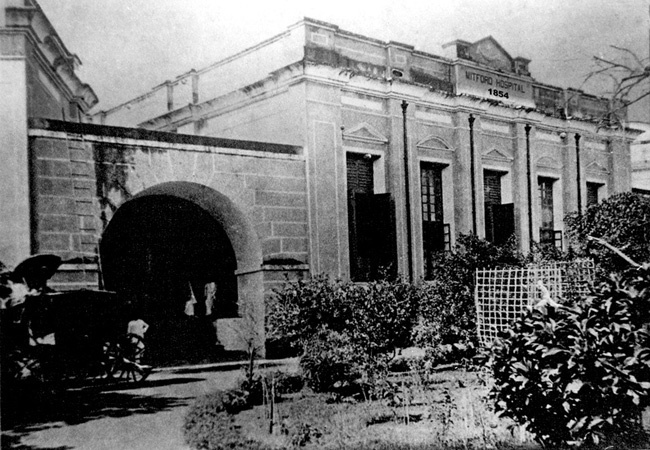 In 1854 the Government of Bengal built a hospital for the use of the residents of the city of Dhaka with Robert’s money and named it the Mitford Hospital in honour of its benefactor. The hospital still stands today; probably no one who uses it realises it owes it origins to a family squabble over a French mistress.